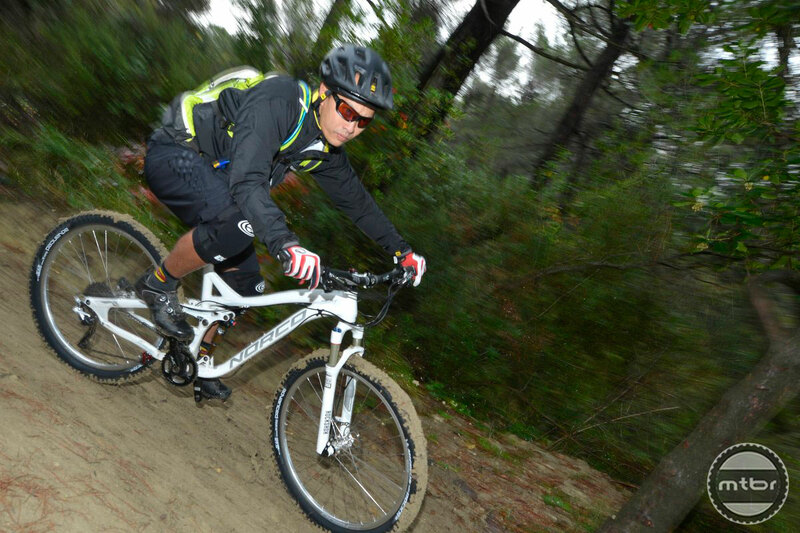 Editor’s Note: This review is part of the Mtbr All Mountain Helmet Shootout. 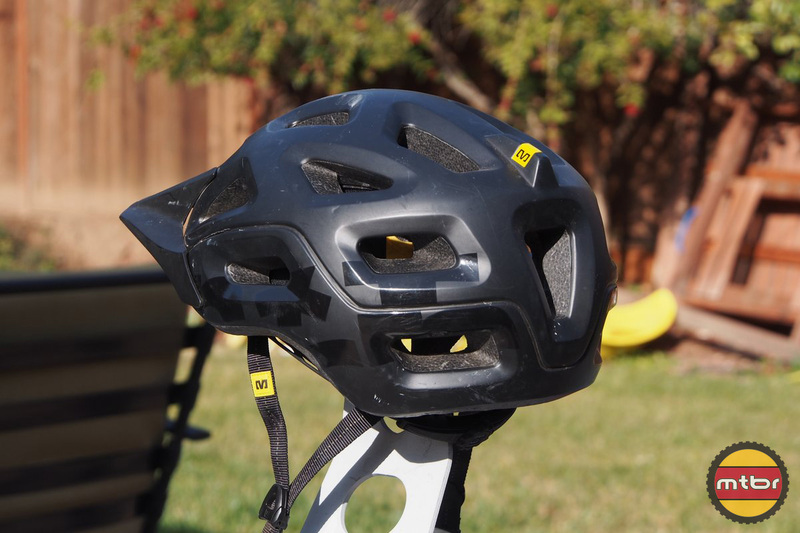 Mavic is going big with a full line of apparel designed for All Mountain riding and Enduro Racing and the Notch Helmet is a big part of this line. The helmet features a clean design with understated black graphics on black color. 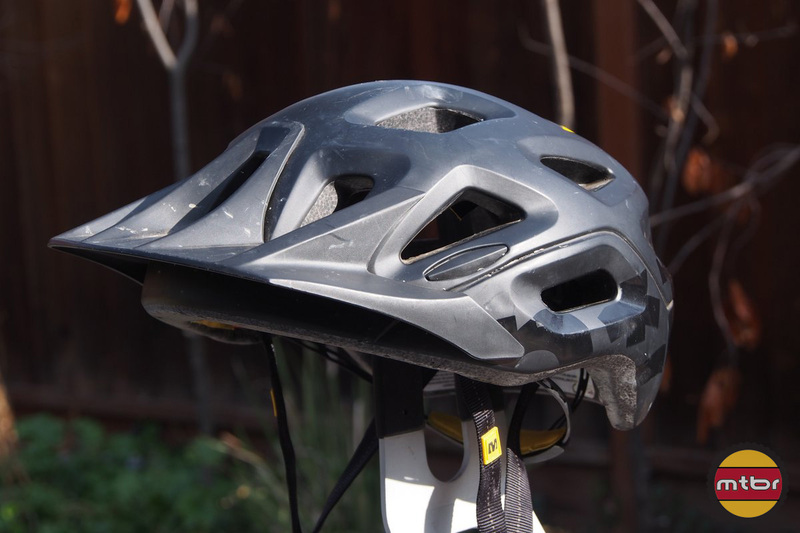 It incorporates a removable, fully integrated visor that can be removed. And a characteristic of the helmet is it has very large vents that taper to smaller holes on the inside shell. 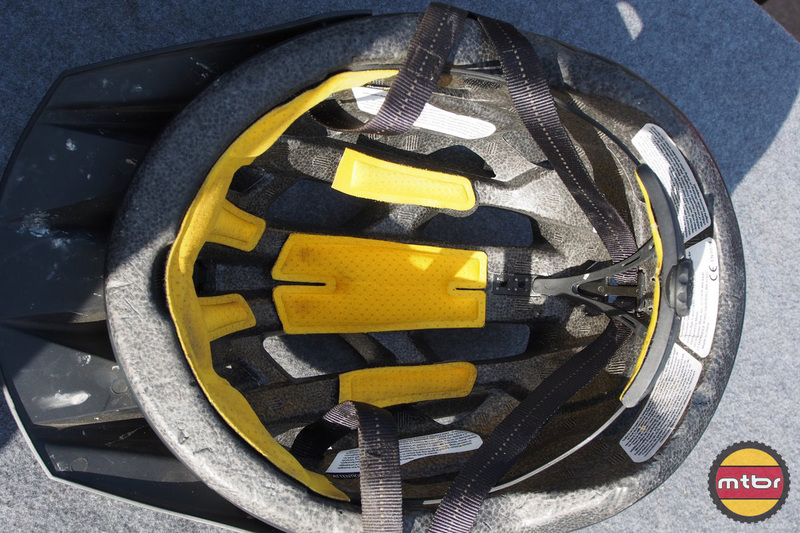 This gives the helmet a very ‘vented’ or open appearance, with full coverage to the back of the head. Price is competitive at $110 and a claimed weight of 310 grams for the medium size. 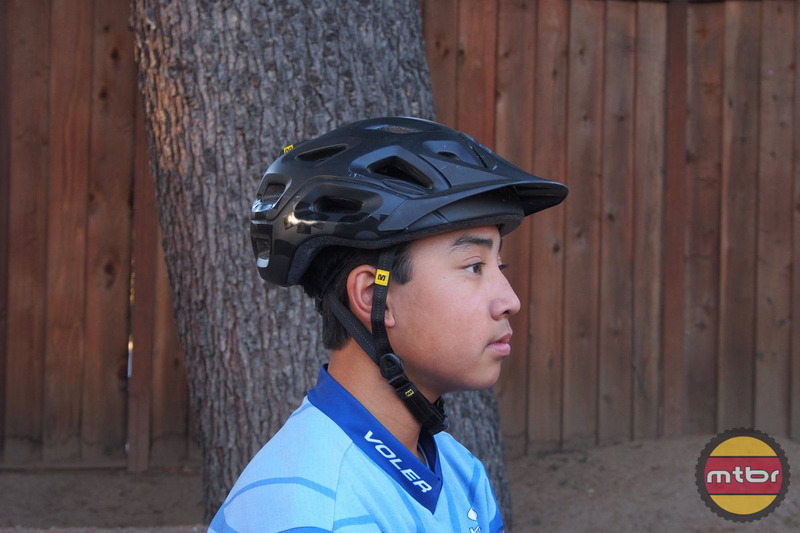 Pads are fairly thin on this helmet so head shape fit is critical to achieve good comfort. This helmet seems more suited for round (not oval) heads so in our case, a medium size is too small but a large was too big as we got shell contact on the upper back of the skull. The halo retention system is excellent with a good, rubberized knob that is easy to turn and adjust. It is height adjustable as well. The straps are anchored inside the shell (rather than the sides) so it’s not ideal as the straps are more likely to touch one’s face. The EPS shell is on the thicker side too compared to the other helmets in the Round Up. Continue reading for more on the Mavic Notch and the full photo gallery.